atg’s ‘Clearway’ signs have become one of the leading products in the airfield guidance market, with increasing interest from domestic and overseas contributing to the expansion of atg’s manufacturing facilities. Continuing the notable expansion of Clearway signs in the UK, Aberdeen International Airport joined the growing list of BAA sites to benefit from the efficiency and maintainability of an atg developed sign. 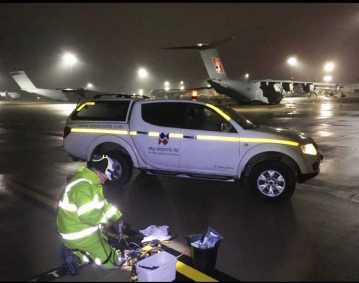 In addition to the airfield guidance signs, Aberdeen also acquired the atg developed conversion kits to be used on a number of the existing signs. 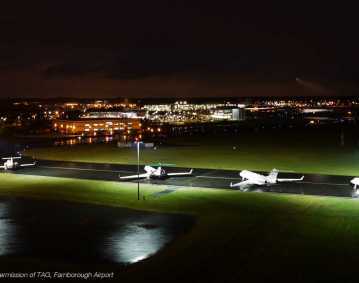 The conversion kit came about as a combination of customer feedback and the skills of the atg development team, who recognised an airport’s need to further reduce energy consumption and the time spent on airside maintenance. 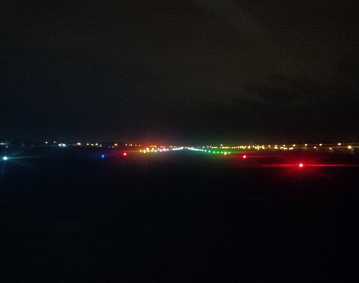 LED or tungsten halogen lamps can be used in the majority of taxiway guidance signs with bodies that are still in good condition, an alternative solution to replacing all airfield signs must be used if improvements to reliability and energy are to be found. atg airports designed a conversion kit to overcome this problem and reduce the capital expenditure of the airport. Based upon the length of the sign, several gear plates/reflectors can be inserted into the sign, replacing all the existing lamps and reflectors. No specialist tools are required – the gear plates plug straight into one another and, once connected to the incoming supply, the conversion is complete. 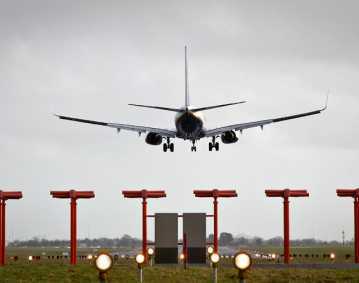 This modification is already being implemented on signs at Heathrow Airport and Manchester Airport and this new order further enhances the reputation of Clearway signs at British airports.